"Oh, that'll be nice," says your friend, mum, builder and boss, when you tell them where you're going. I wonder, are we all so eager to make the obvious joke that we miss what's staring us in the face – that Nice really is nice. 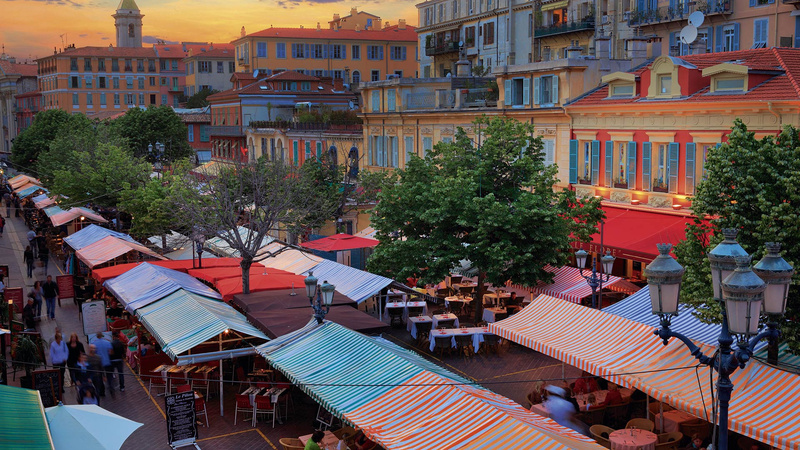 It's one of France's biggest cities, but unlike Paris, Lyon and Toulouse it's on the Côte d'Azur, so it swaps hulking great porky sausage and opulent foie gras for pretty courgette flowers and glugs of extra virgin olive oil. 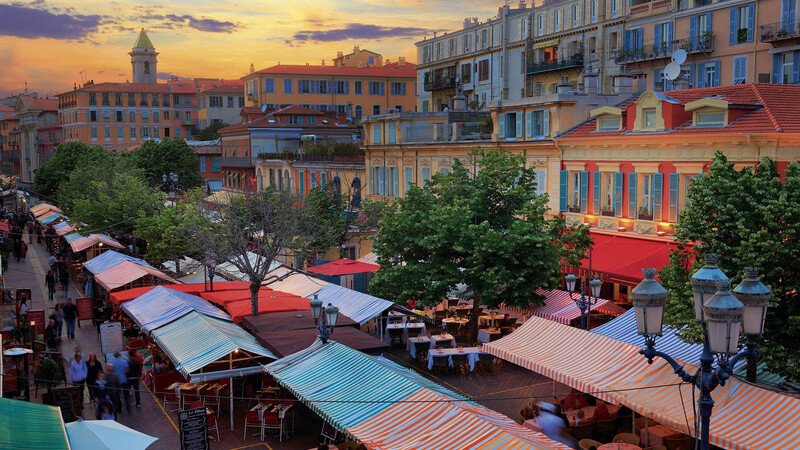 Which is definitely not to say it compromises on Frenchness – as if! Sacré bleu! Wash your mouth out. The city's food markets are lined with the vivid veg of your dreams: majestic artichokes, moody aubergines and sprightly, leaf-on lemons. 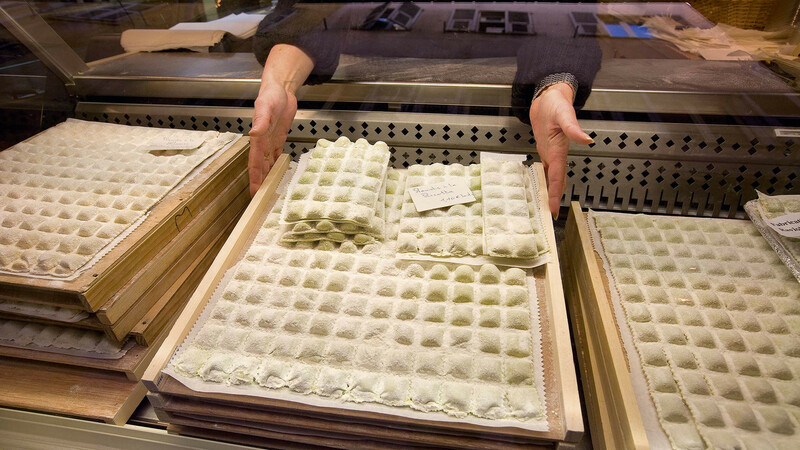 And Nice is 45 minutes (by car) from Italy, which means exactly what you're hoping it means: ravioli. Le Canon, close to the promenade, opened in 2014. It does carefully considered plates in the style of modern Parisian joints like Au Passage, Ellsworth and Yard. Like those places, Le Canon's food is definitely French, but the pretty crockery and red Formica tables feel a bit Brooklyn. Owner Sébastien Perinetti sources exclusively from the surrounding land; the chalkboard menu will often tell you whose farm your piece of meat comes from (Amelie's, or René's, maybe). It changes constantly but contains things like anchoïade (anchovy dip) with courgette flowers, roast Limousin beef with tabbouleh and red mullet with lemony black rice (from 23 Rue Meyerbeer). Another boomer is Fine Gueule (on 2 Rue de l'Hôtel de Ville), which opened in 2015 in the old town. Play it carefully before diving into boudin noir or steak tartare because the starters are generous. Share the Niçoise burrata with black radish and chard, or the oeuf mimosa – a smart take on devilled eggs that involves lots of grated egg yolk and tarragon mayonnaise. It goes without saying that the traditional Niçoise establishments are mostly closed when you need them, so pay attention to opening hours before pinning your hopes on a daube (beef stew, often served with little chard-stuffed ravioli or gnocchi) or pâtes au pistou (pasta with pesto) or le stockfish (dried cod simmered in tomatoes, onions and garlic). I speak as someone who has walked through La Merenda's beaded curtain just as its perfect lunch service drew to a close. La Merenda has been overseen by Domenique Le Stanc since the nineties – before that he worked in more salubrious kitchens, but he fancied a change of pace. There's no phone – you can only make a booking by dropping in – and it's closed all weekend. Conversely, La Taca d'Oli (35 Rue Pairolière) is a handy address to know, because it's open for lunch and dinner on Saturdays and Sundays. It's good and rustic – perfect for getting that salade Niçoise down you, and slopping wine all over your green and yellow tablecloth. The ideal Sunday lunch. Going self-catered is a good idea, because it can be quite distressing to pass through the market when you lack the means to sauté. 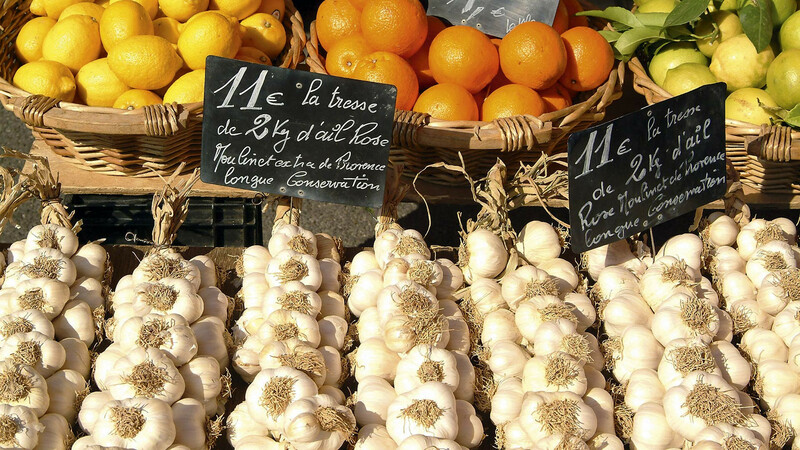 At the Cours Saleya flower and vegetable market, arm yourself with garlic, onions, tomatoes, courgettes, lemons, peppers and whatever else takes your fancy, and then you're ready to hit Maison Barale. This has been Nice's premier address for pasta since 1892. Feast your eyes on cabinets of fresh tagliatelle, gnocchi and seasonal ravioli stuffed with truffle cream, daube or confit lemon and ginger. If you'd rather someone did the work for you, the brilliant Bar des Oiseaux's (5 Rue Saint-Vincent) use of Maison Barale's pasta is ideal: calamari with creamy orzo risotto, clams with leek ravioli, gnocchi à la daube. 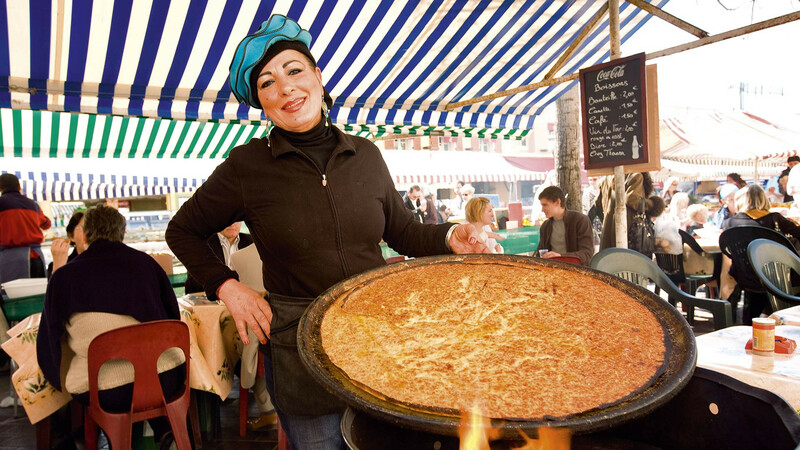 It can be quite distressing to pass through a French market when you lack the means to sauté. Elsewhere, Le Comptoir 2 Nicole calls itself a "bistro chic Niçois". There's a Beverly Hills look about the place – all white and wood with the odd bit of candy-stripe fabric, like a Ralph Lauren shirt. And the service can be surly. But for a single plate of great pasta on the patio, it's fabulous. Look out for specials like salmon tagliatelle and truffle gnocchi, or go for the classic – a pile of ricotta-stuffed ravioli topped with tomato sauce, pesto and chopped almonds. This feels very now, despite being age-old Niçoise business. It's a big chickpea flour pancake, served hot from the pan with salt and pepper. At Chez Pipo it's at its crisp best, especially with glasses of rosé. This is a pizza-like base topped with onions that have been caramelised to oblivion, and a few anchovies and olives. There is a particularly wondrous one at little, organic Mama Baker (13 Rue de Lépante). A hollowed-out roll filled with tuna, tomato, radish, celery, onion, black olives, anchovies and boiled eggs. The classic is at Chez Tintin, a hole in the wall with a few pavement tables (3 Place du Général de Gaulle). Swiss chard pie! Get it by the square alongside plates of hot fresh socca and pints of beer at Rene Socca, which has an al fresco pub vibe on old town cobbled streets (2 Rue Miralheti). While perusing the old town, particularly along Rue Pairolière, keep your eyes peeled for these at all times. All that sun is conducive to a Saturday night that's carefree, reservation-free and mostly wine-fuelled. Vinivore (10 Rue Lascaris) has an adjoining restaurant, but it's much more fun to stick to the four or five little pavement tables, working your way through brilliant wines by the glass (which never cost more than £7), and a big board of good things: salami, mortadella, goat's cheese, cornichons, bread. Elsewhere, behind an inviting, aubergine shop front, La Mise au Verre is the bistro sibling of the wine bar La Part des Anges (which is only open until 8.30pm). There are more than 300 natural wines here, plus terrines, hams and goat's cheese salads. Or, in other words, everything you've ever wanted. Rue Bonaparte gets popping of a weekend evening. Comptoir Central Électrique (number 10) has a grand teal frontage, velvet chairs and lots of outdoor tables that are perfect for an outdoor Aperol spritz in the thick of it. And Le Dandy (number 21) is your standard French pavement café, reimagined for, well, dandies, with a chic navy awning, black and gold tables and slightly flashier rattan chairs than you might be accustomed to. This area is worth exploring the morning after, too. Café du Bresil is a little brown hatch – all wood and botanicals – that just does tapioca galettes and juices (nectarine and mango, or banana and turmeric). And Bel Oeil (12 Rue Emmanuel Philibert) is a fabulous, bright space – all white with a splash of sea breeze blue – with a full brunch menu, including daily fromage frais and bacon-parmesan scrambled eggs. Want to eat Provençal food without leaving London? Try Sardine, in Old Street, or read more about the French food revolution sweeping the capital.